Looking for a restaurant on 5th Ave South in Downtown Naples? Then you’ve come to the right place. Below you’ll find some of the best eateries, coffee shops and diners in the city. So whether you’re out for a invigorating scroll to see the sights or need a little “retail therapy” in one of the many exquisite boutiques and shops, you’ll find just the place for a meal or snack when you need a little refreshment. 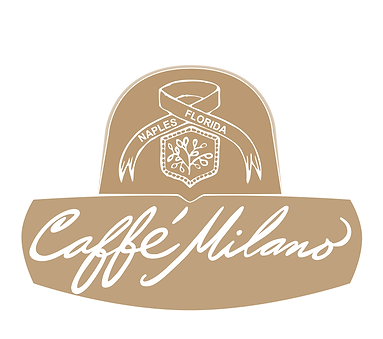 Stop in at this amazing coffee shop and diner to enjoy a great selection of fresh pastries, coffees, smoothies and more. The diner offers outside seating along with free WiFi internet. For fine Italian cuisine, stop in at Alberto’s. Italian Chef Alberto Varetto offers bold French-influenced flavors to his pasta, meat and fish dishes. Extensive domestic and Italian wine selection. Open from 11:30 a.m. to 10 p.m. daily. Received 2014 Certificate of Excellence from TripAdvisor. 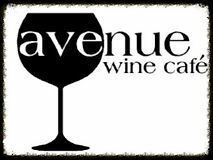 Located on beautiful 5th Avenue, in Naples, Avenue Wine Cafe is the perfect place to enjoy great drinks and even better company. Our knowledgable staff are here to help, so do not hesitate to ask questions. Why not let one of our highly trained bartenders introduce you to a new beer or two? We were the proud recipients of ‘The Best Bartenders’ award from Gulfshore life magazine in 2012, and we look forward to another great year in 2013. Check back with us on a regular basis for event updates and new specials! We look forward to seeing you soon! Avenue 5 opened in February 2014, featuring a “vintage glam ambiance” and top notch Executive Chef. The 240-seat restaurant features an extravagant island bar, private dining areas and sweeping views of the Fifth Avenue streetscape. The Avenue 5 menu showcases the best available ingredients, including various cuts of meats, chops, fresh local fish and Maine Lobster. Bha! Bha! Persian Bistro on the contemporary Royal Road that is Fifth Avenue South, Naples FL. With his new boutique bistro Michael Mir, (Executive Chef and Owner), will take you to a place where warm desert moonlight glows upon the sands, creates mystical illusions in far away dunes, and magically gives life to every jewel in it’s path. Silk fabrics entice the touch. World music is heard in the background. Aromas of delicate fragrant spices, sweetness in the air of simmering fruits, and the perfume of jasmine from the garden seduce you. Bold flavors from fresh meats, poultry and fish embrace the palate and soothe it with delicate strokes of the perfect union of flavors. Brambles English Tea Room and Gift Shop, established in 1995, has become an enduring Naples tradition. Some guests describe Brambles as a “hidden treasure” because the Tea Room is tucked down a meticulously well kept lush landscaped passageway called “Rue de Fleur” with its Lion water fountain, flowered window boxes and beautiful ornamental garden accents. It is only steps away from Upscale 5th Avenue South between Fidelity Investments and English Traditions. At Chops City Grill, we feature our own dry-aged New York Strip Steaks, T-Bones and Filets. We also specialize in fresh local seafood, hand-rolled sushi, and stir-fries. Chops City Grill has a big city feel with a 300-bottle wine list and the best martinis in town! 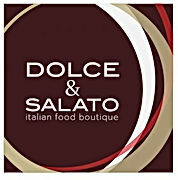 Dolce & Salato is located in beautiful Naples Florida, within walking distance to one of the top beaches on the gulf coast and nestled in the historic downtown district, along the upscale and popular Fifth Avenue South. 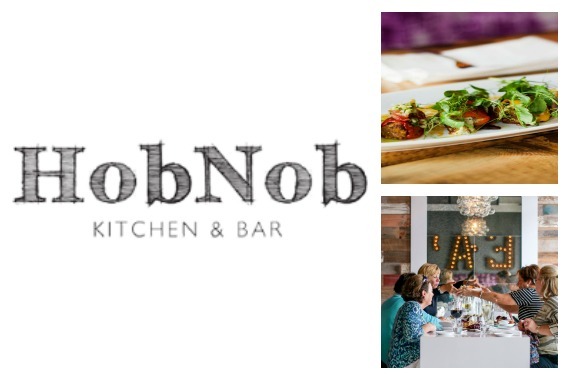 For creative American cuisine that is both fresh and simple, look no further than Naples own HobNob Kitchen & Bar!!! Mangrove’s motto, Think Global, Eat Local, is uniquely presented on its menu and Wine Spectator Award-winning wine list. You’ll appreciate the flawless service and recognize your server; they’ve been there for years. The difference maker is that Mangrove Cafe is chef-owned and operated by Doug Amaral and his wife Diane, who personally assure your dining experience is a great one. “simply my mom in the kitchen” is our motto and she shares traditional family recipes! All our pastas and sauces are homemade and we pride ourselves on using only the very best quality ingredients. Our pizza chef came all the way from Napoli to create the finest Neapolitan pizza for you to enjoy. We invite you to come and dine with us! Serving lunch and dinner. We also offer delivery so you may dine poolside or on the beach. The opening of Osteria Tulia in January 2013 was the culmination of a lifelong dream for Chef/Partner Vincenzo Betulia. Born in Sicily and bred in Milwaukee, Wisconsin, a Midwest hotbed of innovative chefs, Chef Vincenzo worked through the ranks with Paul Bartolotta as mentor and Michael White, exploring the traditional foods of Italy’s diverse culinary regions.Osteria Tulia’s robust menu of “cucina rustica” draws on the simplicity of Italian fare and features a choice of piattini (small plates), antipasti, pizzas, salads, piatti principali (entrees), contorni (sides) and house made pastas, the heart and soul of Osteria Tulia. The beverage menu beautifully complements the food, and comprises of hidden gems from small wine producers in Italy and around the world, as well as signature cocktails featuring traditional Italian ingredients and liquors. Pazzo! is a friendly neighborhood restaurant that just happens to have an outstanding world class “affordable” menu that serves real Italian food! At Pazzo!, we make all of our own sauces, pastas, desserts and everything in between from scratch! At Pazzo!, It’s All About The Food! Fresh off of the success of our first restaurant, Thai Udon Cafe has created a beautiful new space on Naples’ famous 5th Avenue, just 3 blocks from the Gulf of Mexico. And while we continue to serve a full complement of traditional and modern Thai and Japanese fare, we now offer a wide variety of a la carte sushi and unique maki rolls. With sultry ocean blues, accents of silver and deep mahogany woods, the new Yabba Island Grill may be the sexiest and affordable “new” restaurant on 5th!